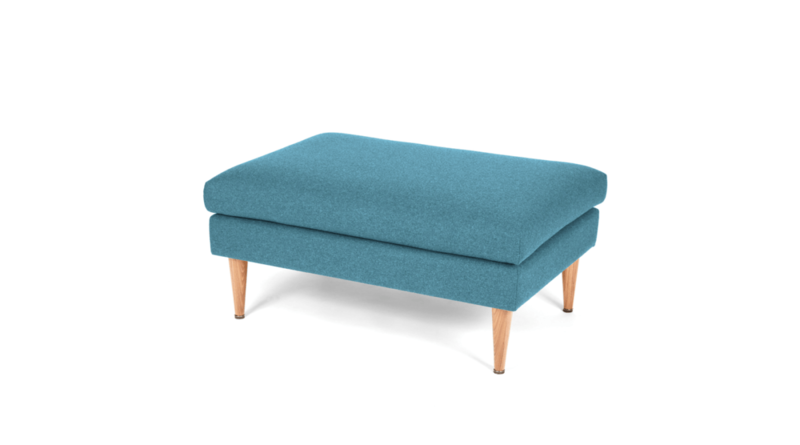 Made to order in 4 weeks. 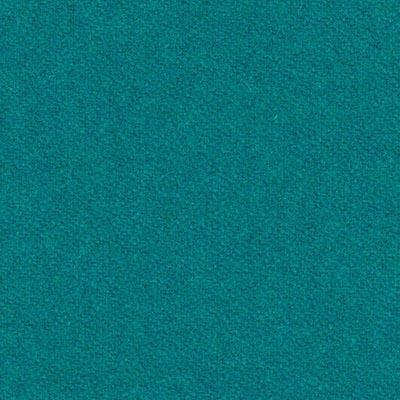 Shipping takes 1 week. 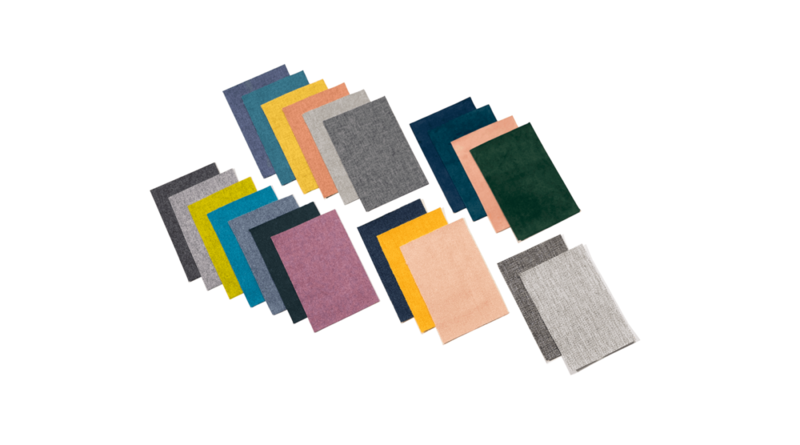 There are number of different materials and colors to choose your favorite MOOD. 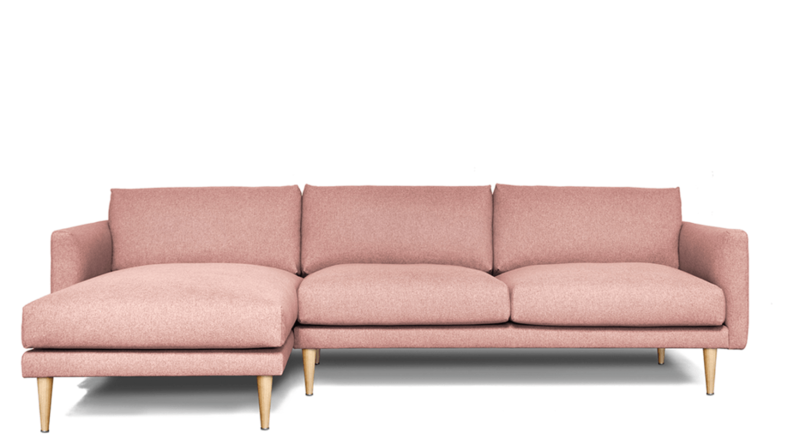 Choose from different leg colors, lighter or darker. 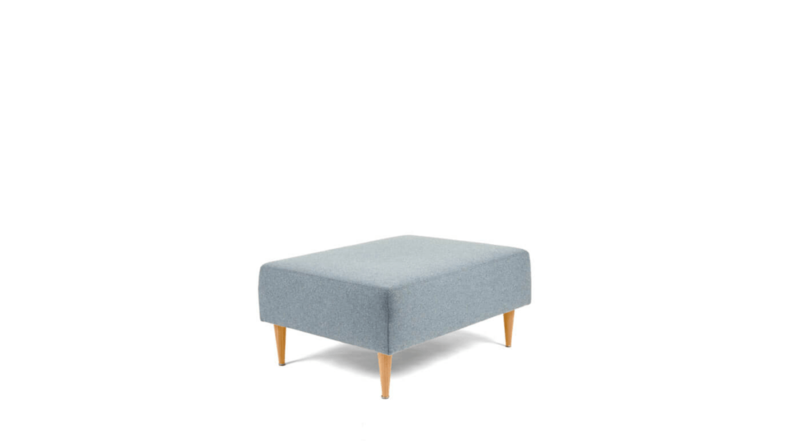 Soft felts under wooden legs to save your floors. 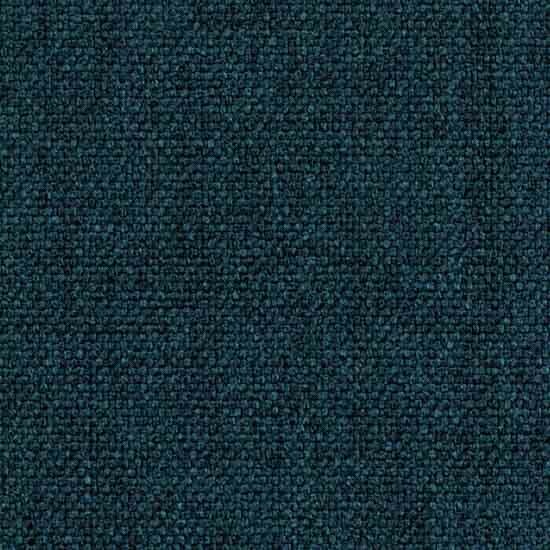 Hand picked and high quality materials make your MOOD last for ages. 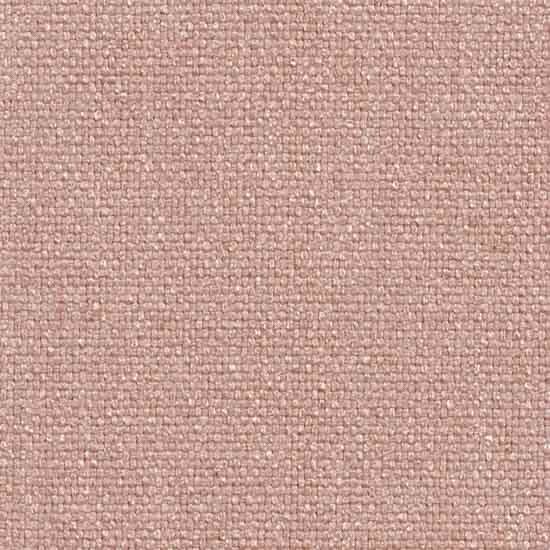 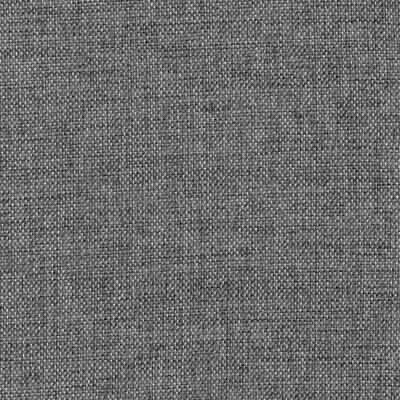 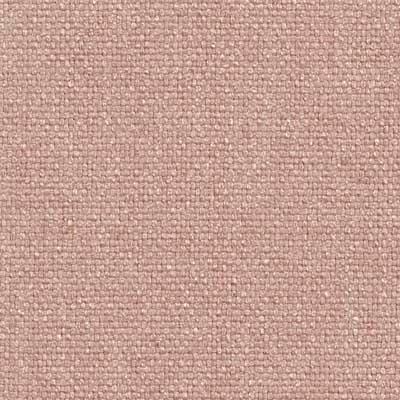 Elena is a polyester fabric which has a high abrasion resistance of 29 000 Martindale. 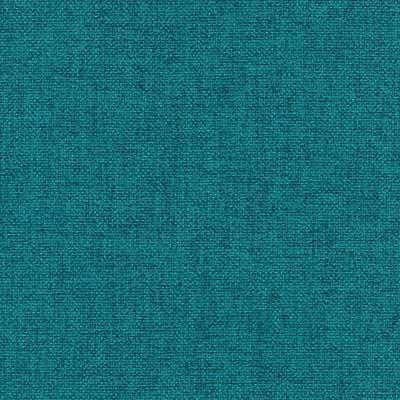 The multicoloured fabric is soft and nice to touch. 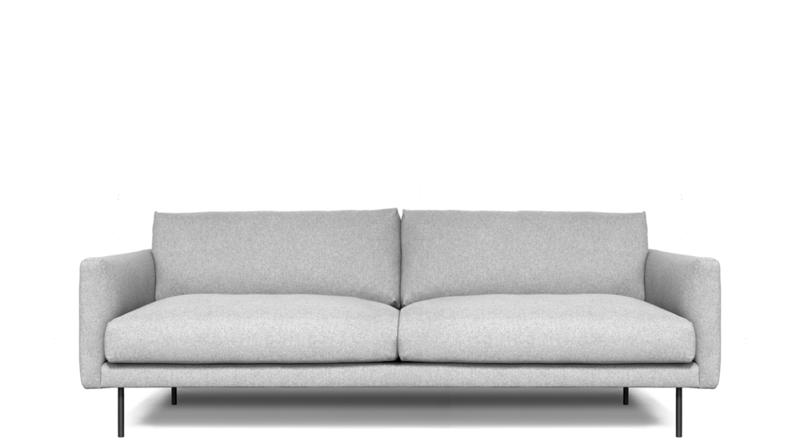 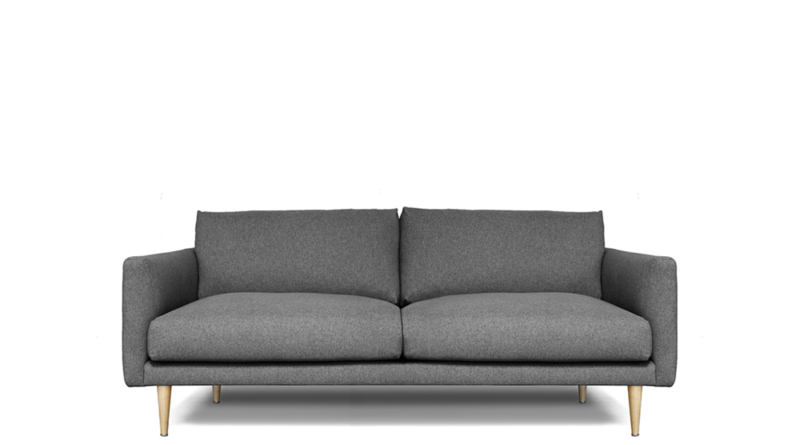 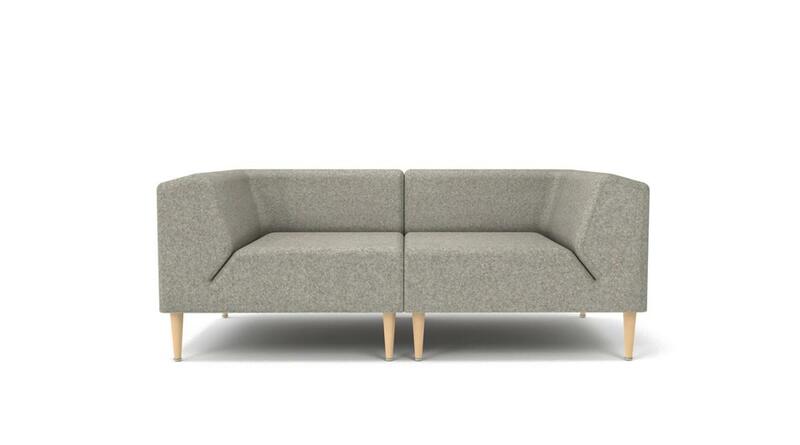 The designer selected grey colours are perfect for scandinavian style homes. 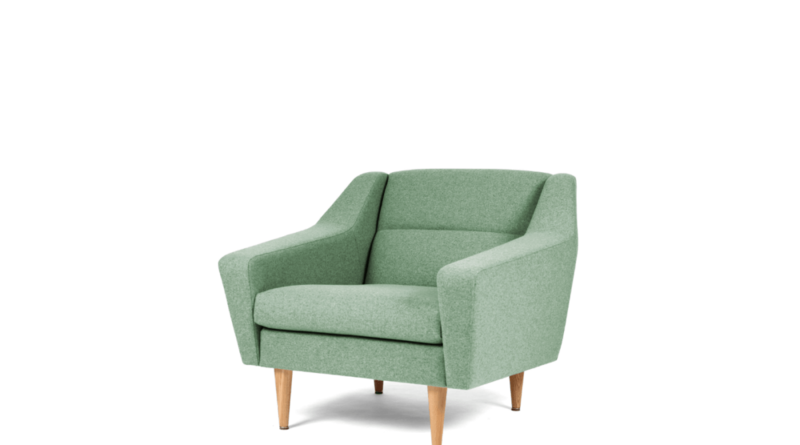 We suggest to use only special upholstery cleaning products to remove stains and recommend weekly regular cleaning with a vacuum cleaner soft nozzle or dry cleaning for general dirtiness. 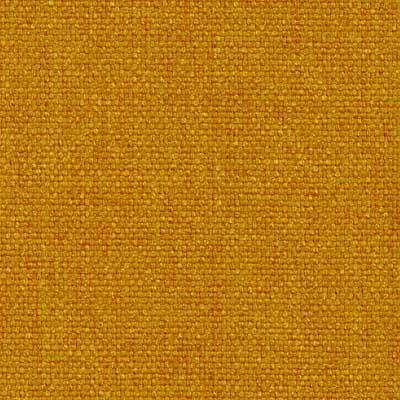 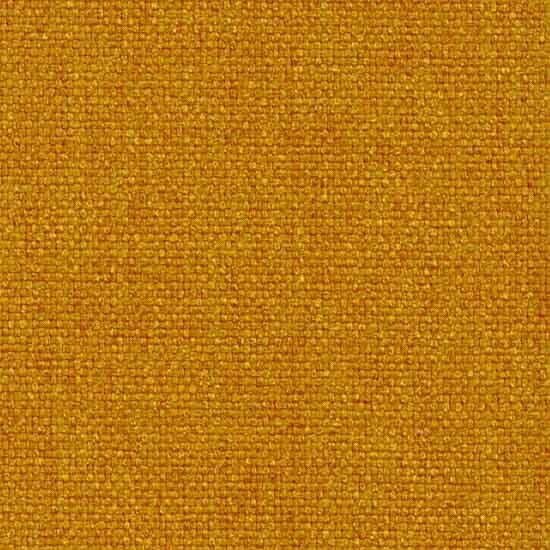 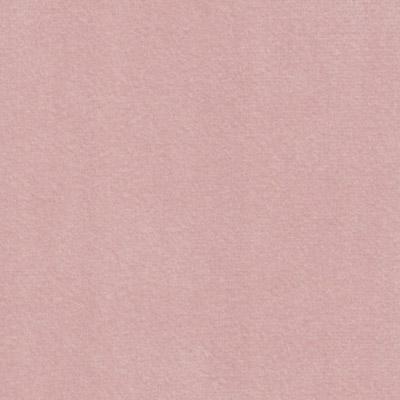 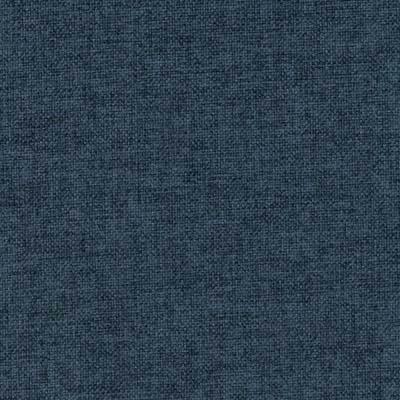 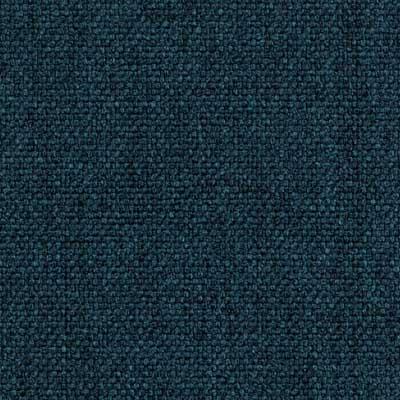 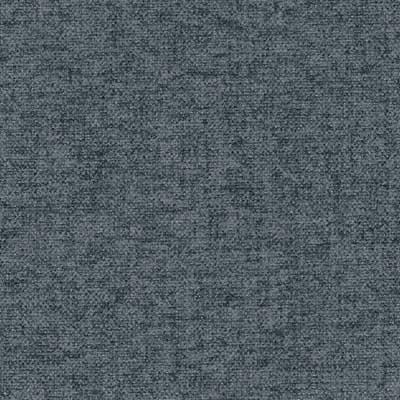 Stella is a polyester fabric which has a very high abrasion resistance – 180 500 Martindale. 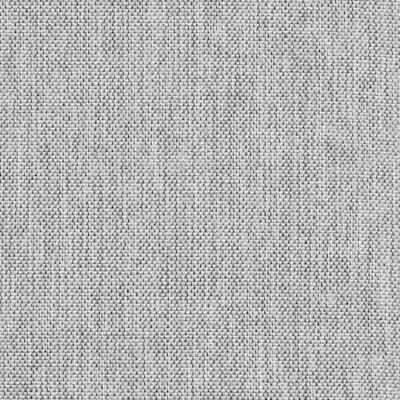 The fabric is soft and nice to touch, yet with a dense fibre which makes it suit well for homes with pets and small children. 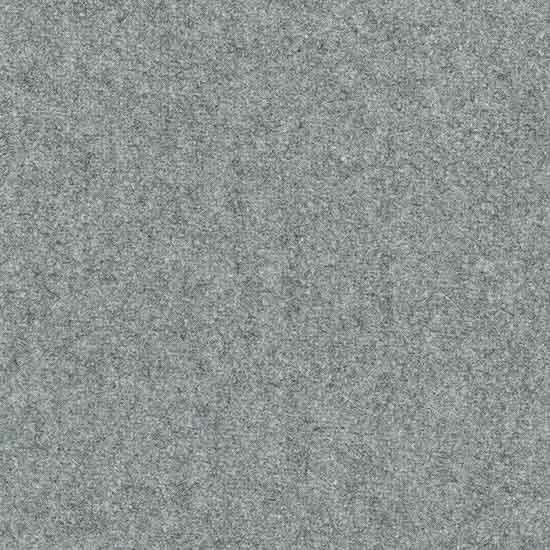 Stella is also very easily cleanable and can be washed at 60 degrees. 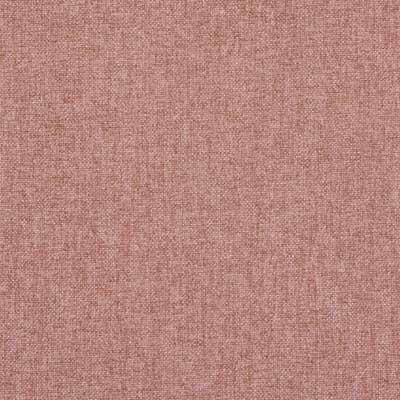 With our stain tests we have conquered both coffee and red wine stains. 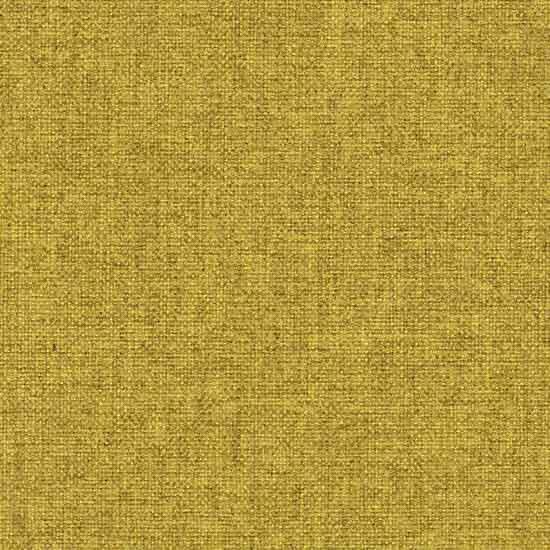 Stella is a fabric with high bleach resistance and therefore suits well also to bright sunny rooms. 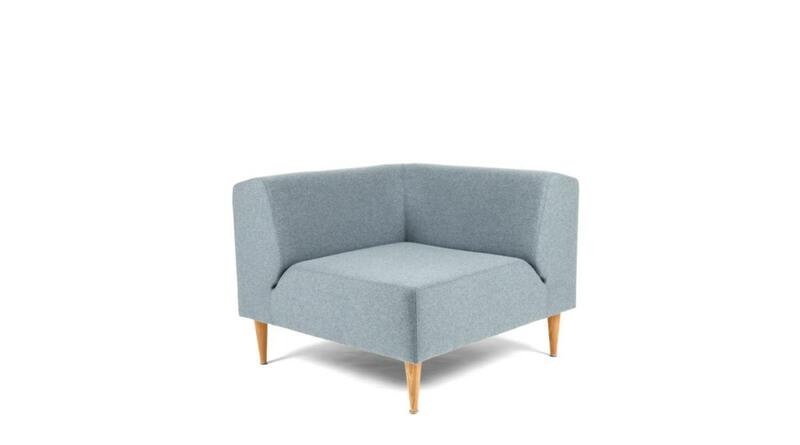 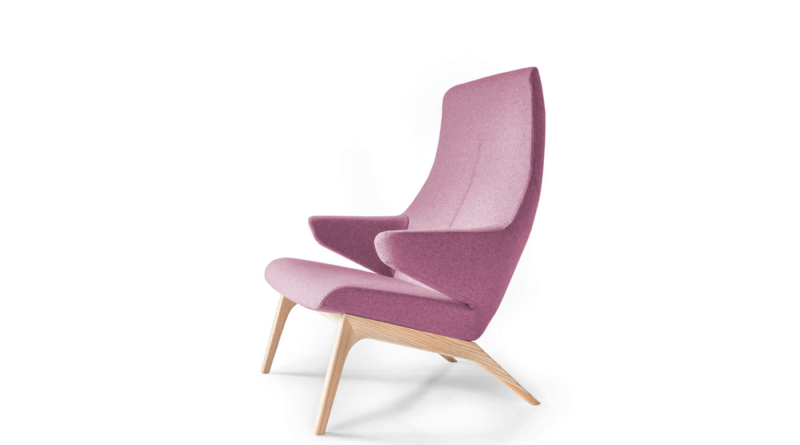 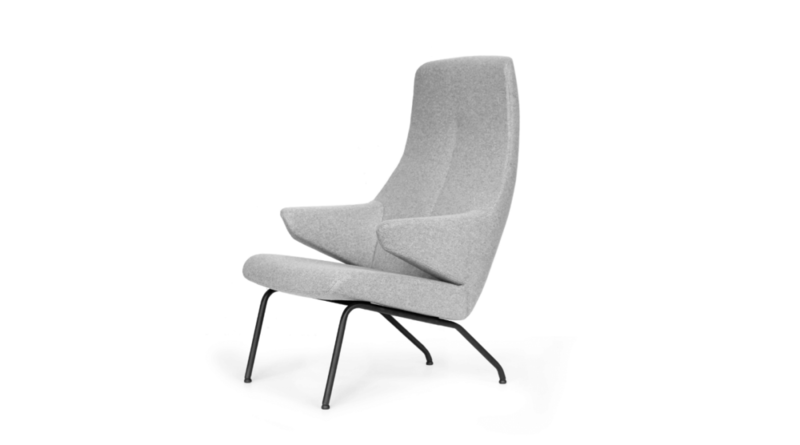 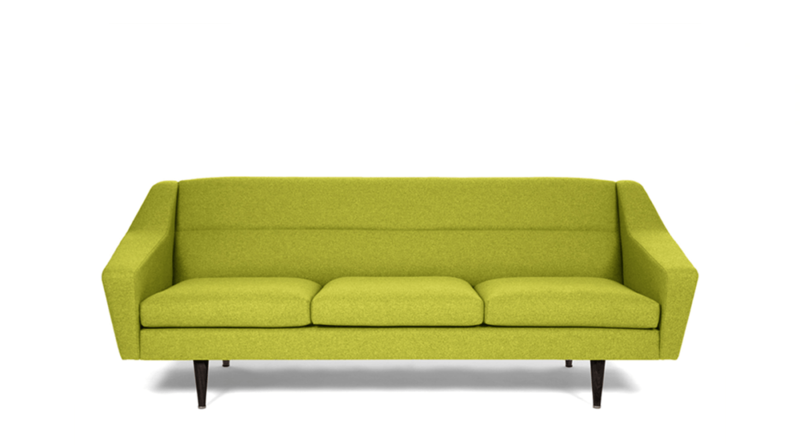 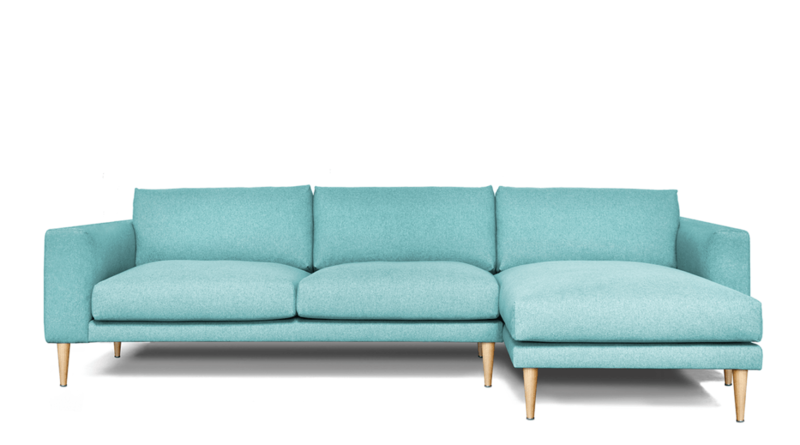 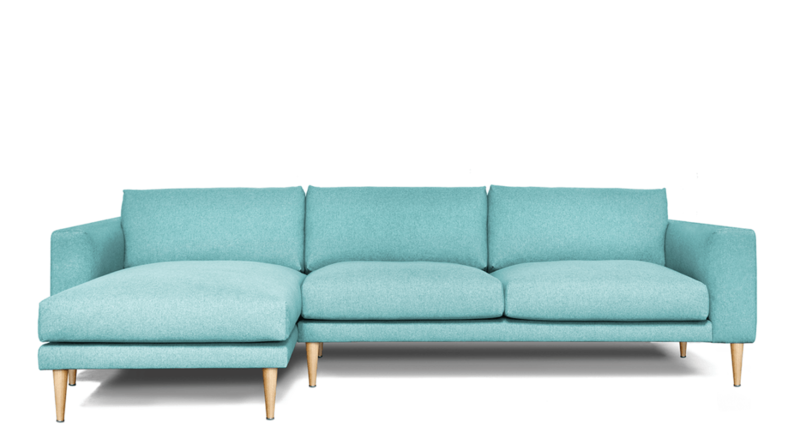 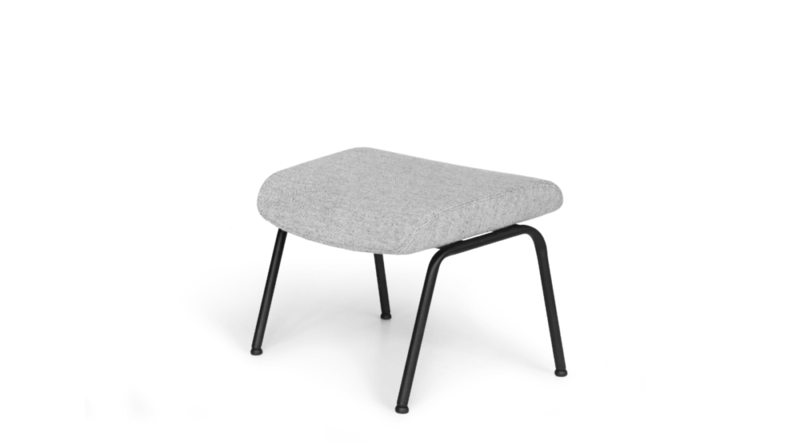 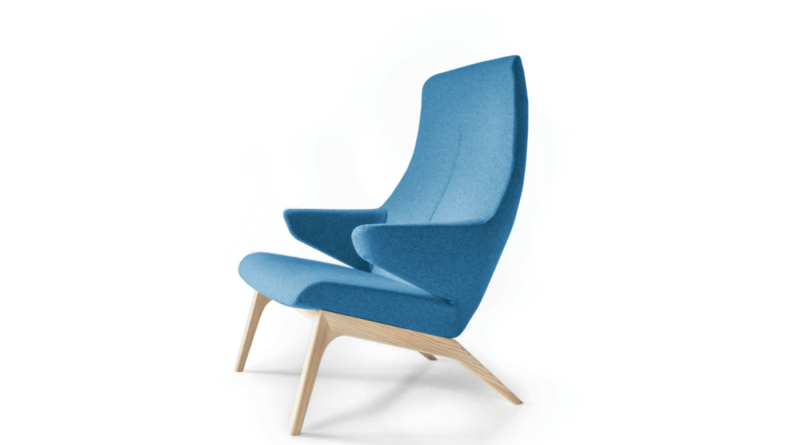 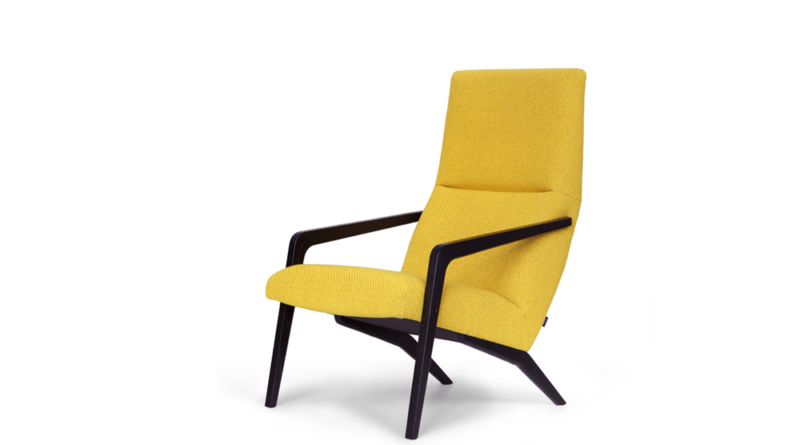 Wooly is a stylish Italian refined wool that brings out furniture’s beautiful form. 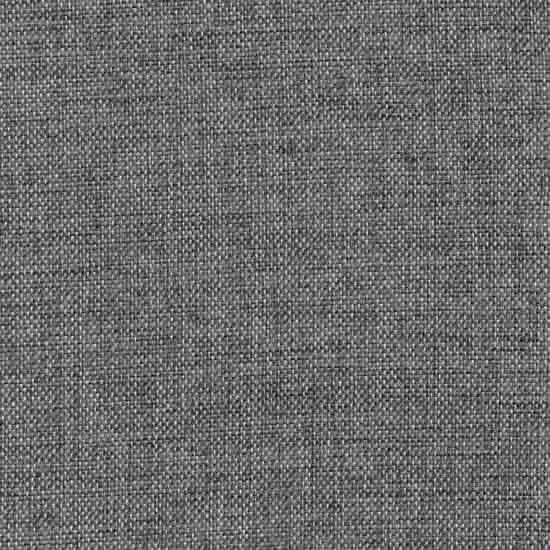 The fabric consists of 70% wool. 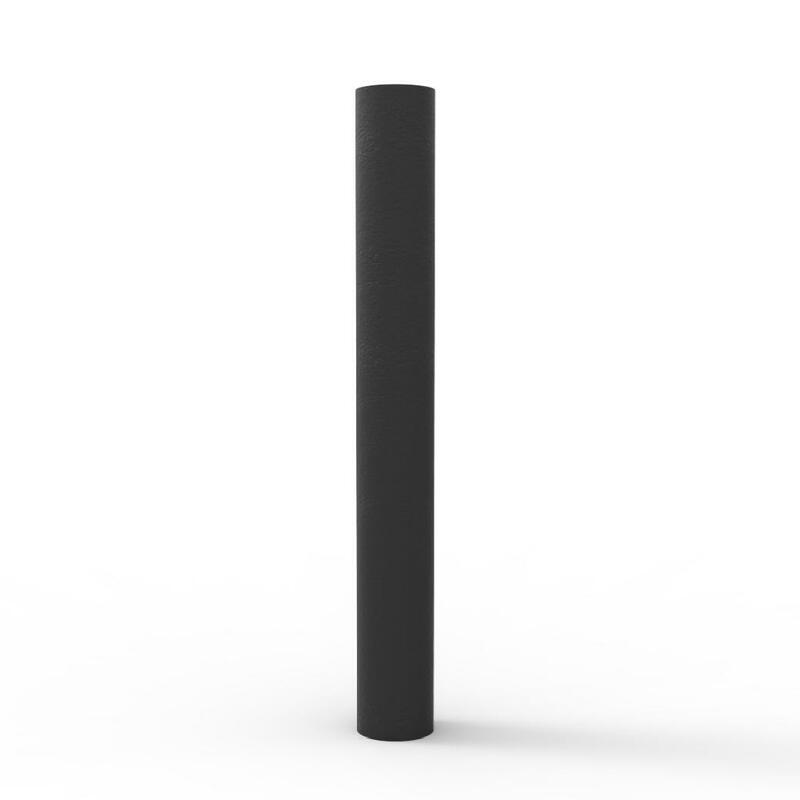 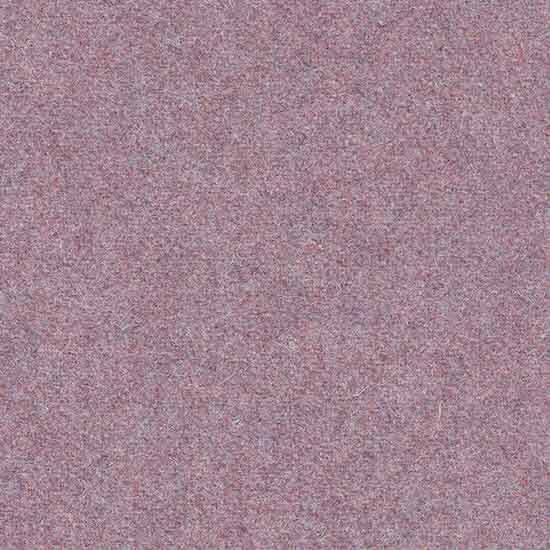 Its abrasion resistance is high – 150 000 Martinadale. 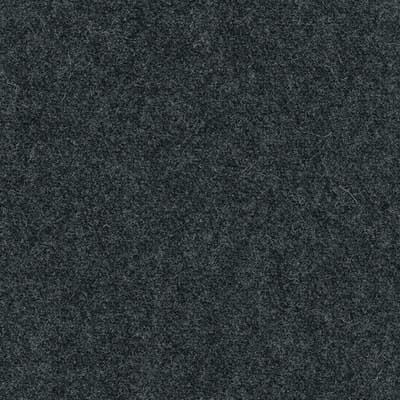 Wool is the most easily cleanable natural fibre fabric. Nonetheless we suggest to use only special cleaning products to remove stains or dry cleaning for general dirtiness. 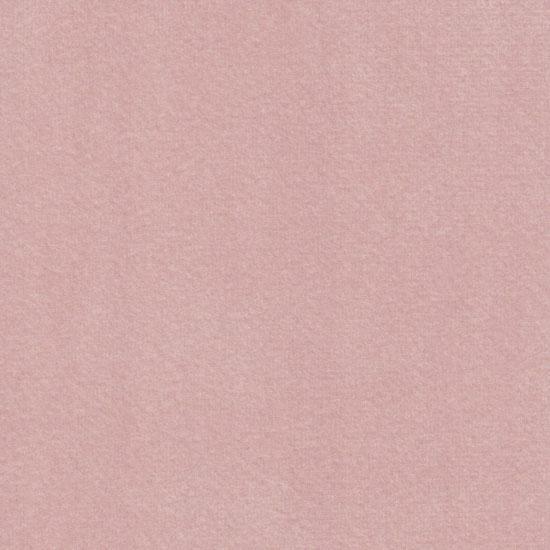 With our stain tests we have conquered both coffee and red wine stains. 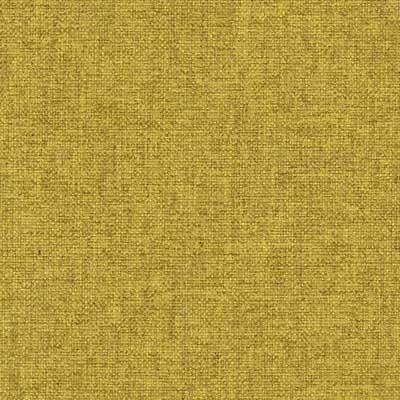 Wooly is a fabric with high bleach resistance and therefore suits well also to bright sunny rooms. 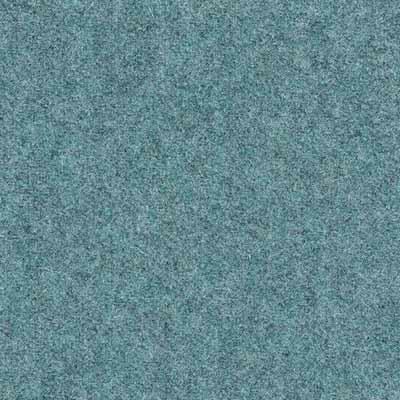 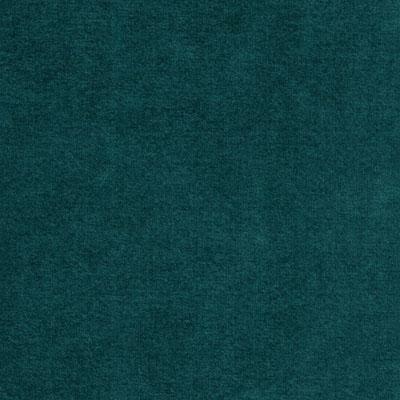 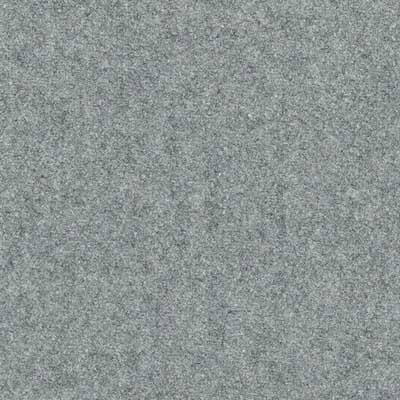 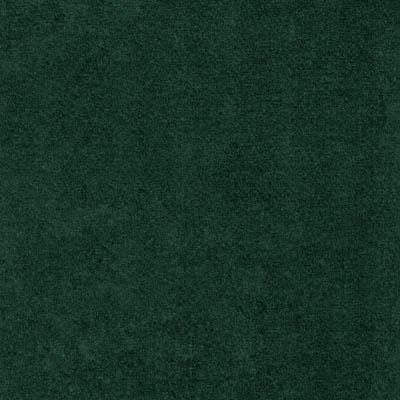 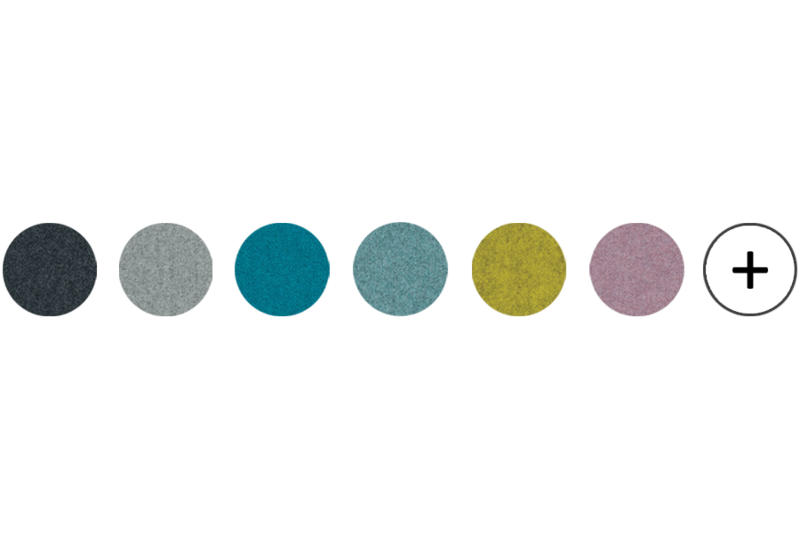 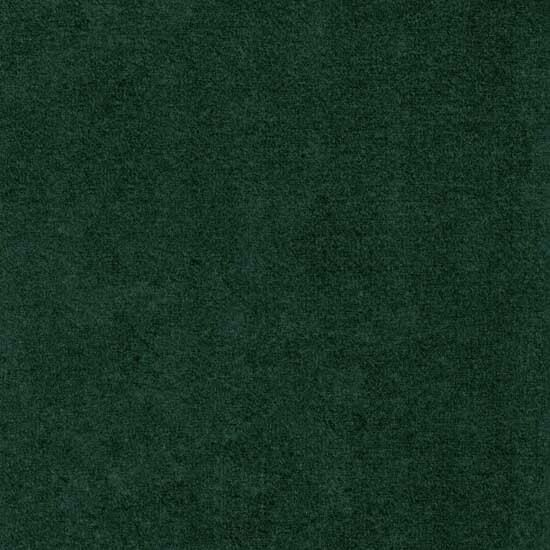 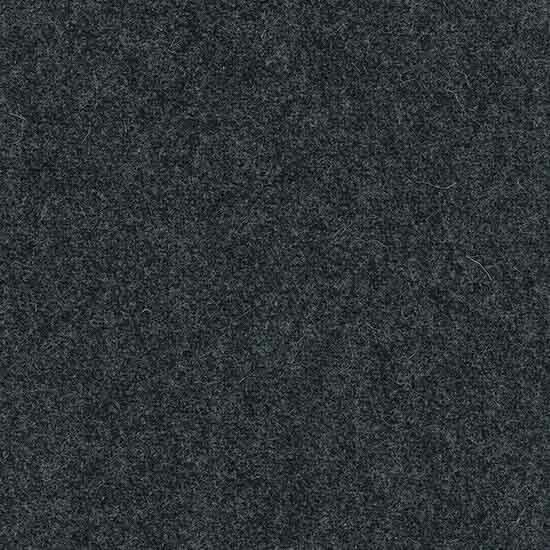 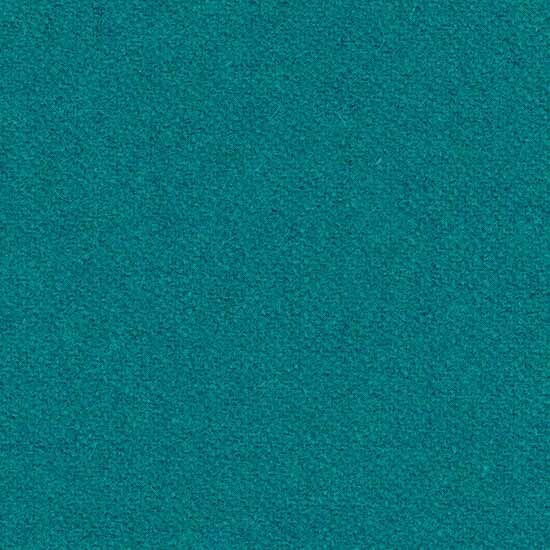 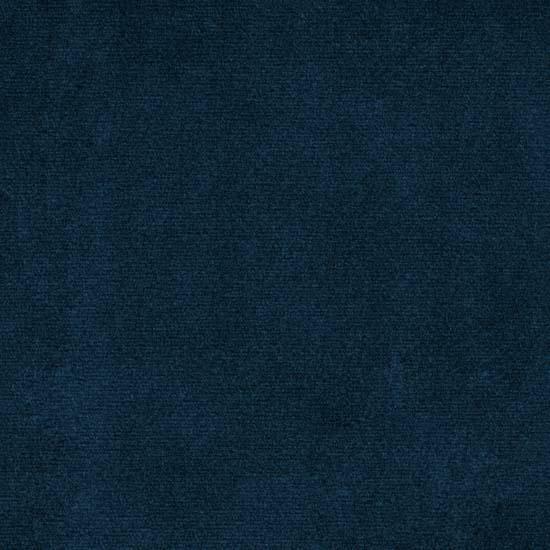 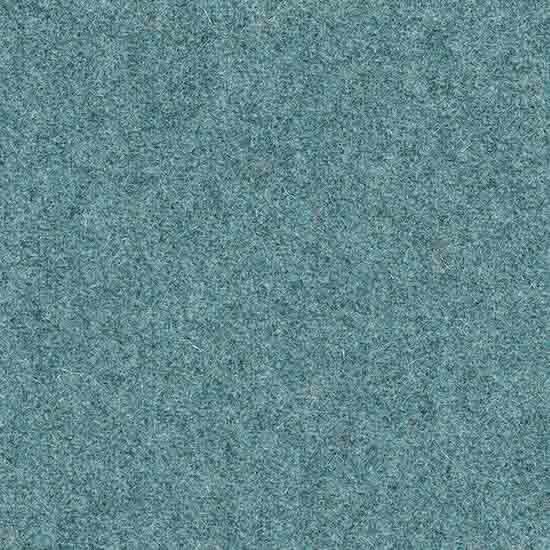 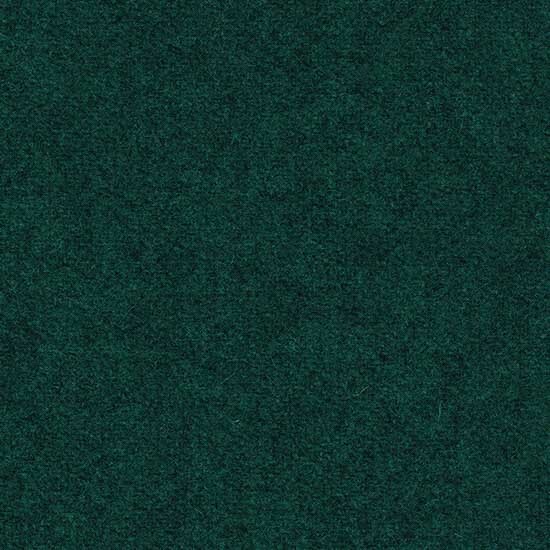 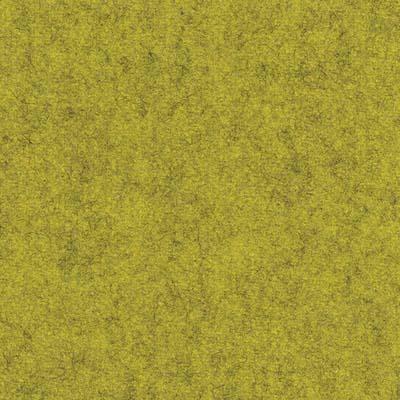 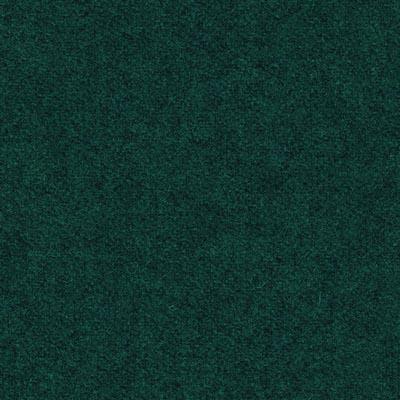 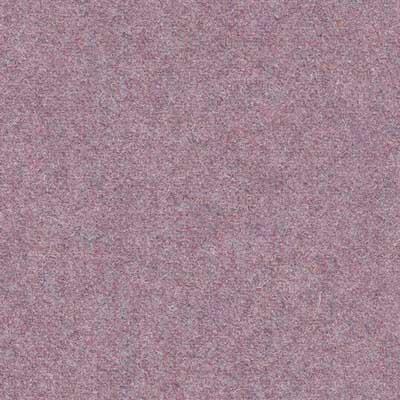 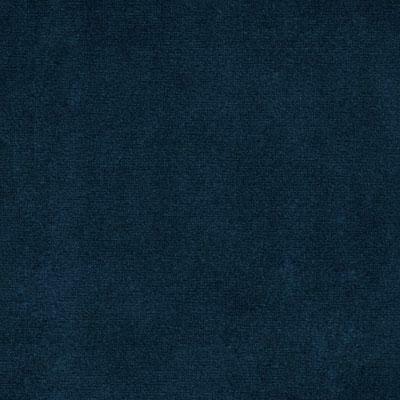 Charles is a very soft velour upholstery fabric with a high resistance to abrasion – 90 000 Martindale cycles. 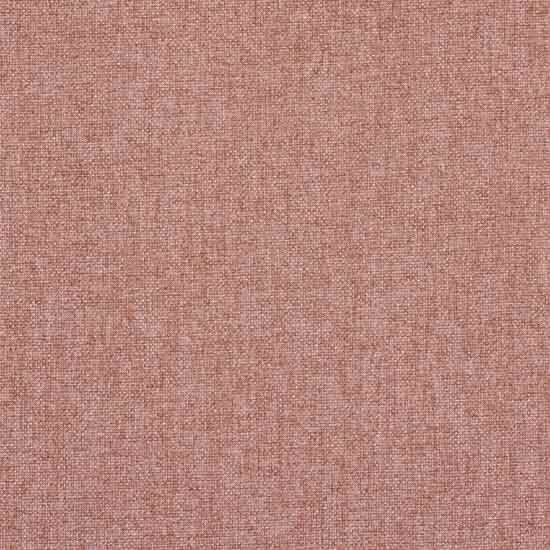 It is available in a wide spectrum of colours from strong, warm tones of brown, red and orange to cooler blues and greys. 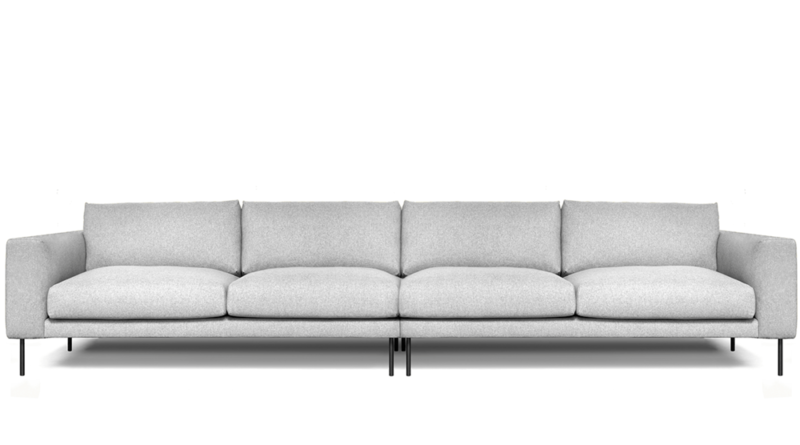 It is highly recommended for modern interiors. 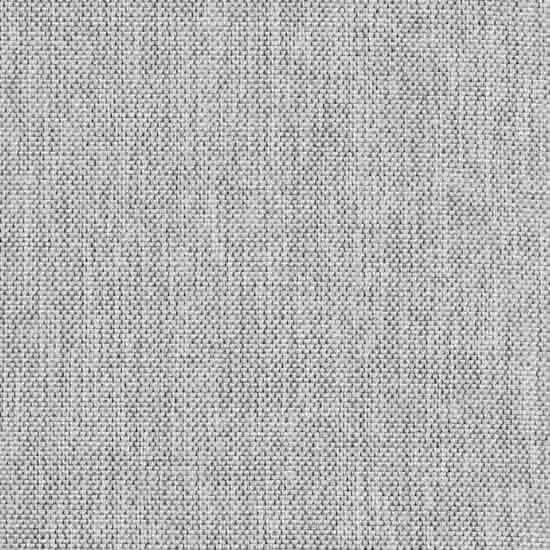 The fabric has a protective finish and is easy to maintain – it can be either hand-washed or dry-cleaned. 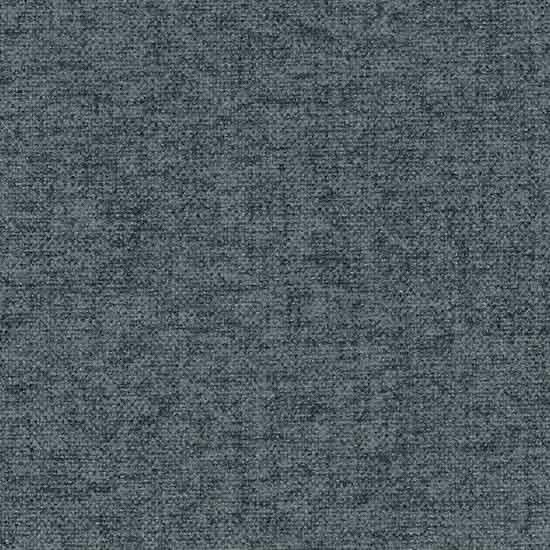 Nonetheless we suggest to use only special cleaning products to remove stains or dry cleaning for general dirtiness. 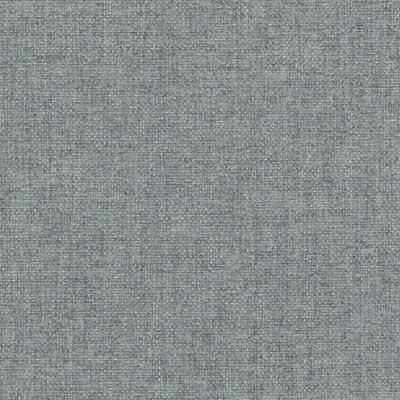 Chopper is an upholstery fabric with an interesting structure of thickly woven canvas, pleasant and soft to the touch. 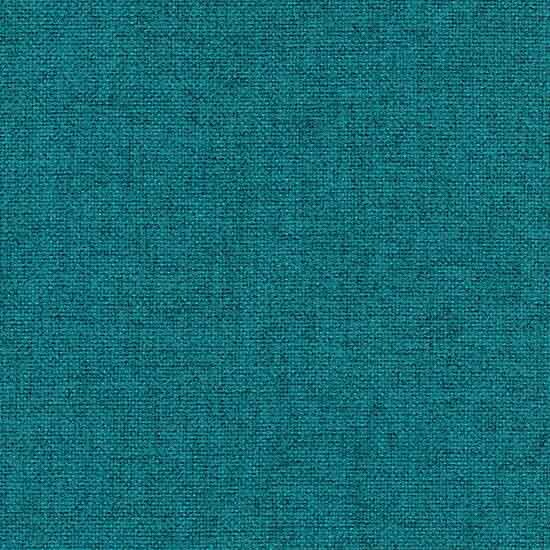 It comes in a wide range of colours, highly compatible with the newest trends. 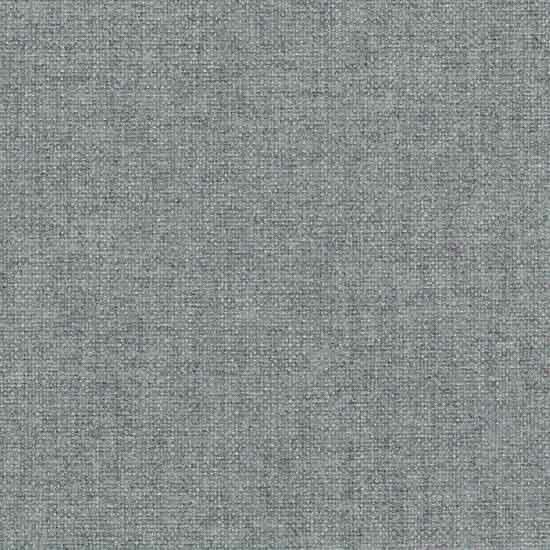 The fabric is covered with a special finish, which protects it against liquid stains. 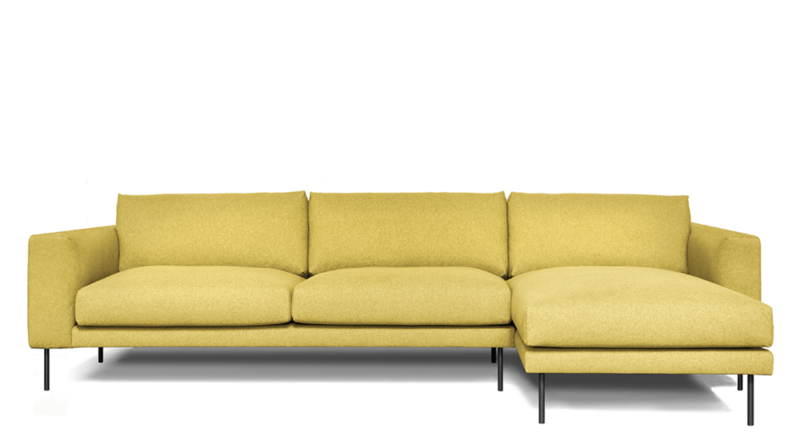 With its excellent abrasion parameters – 60 000 Martindale cycles, Chopper is a great choice for both household and public utility interiors. 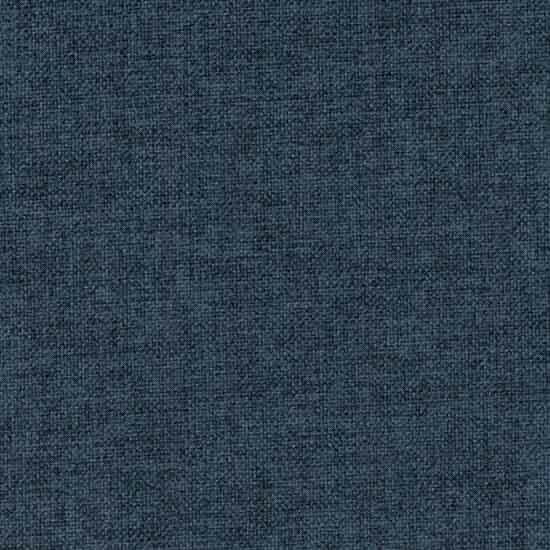 We suggest to use only special products to remove stains or dry cleaning for general dirtiness. 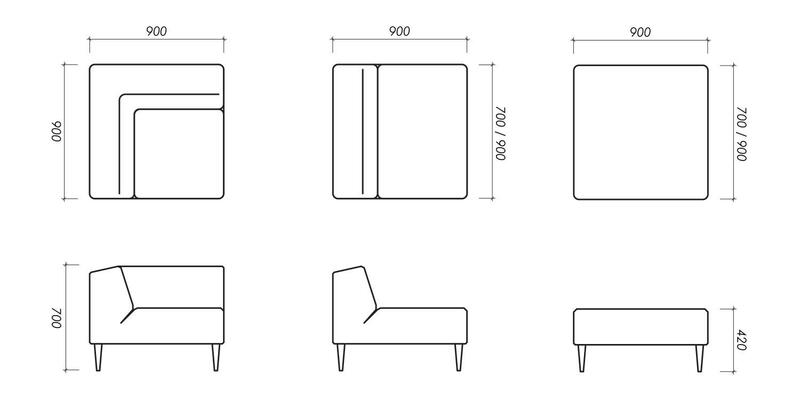 Functional modular system MOOD enables to be more creative when designing interiors. 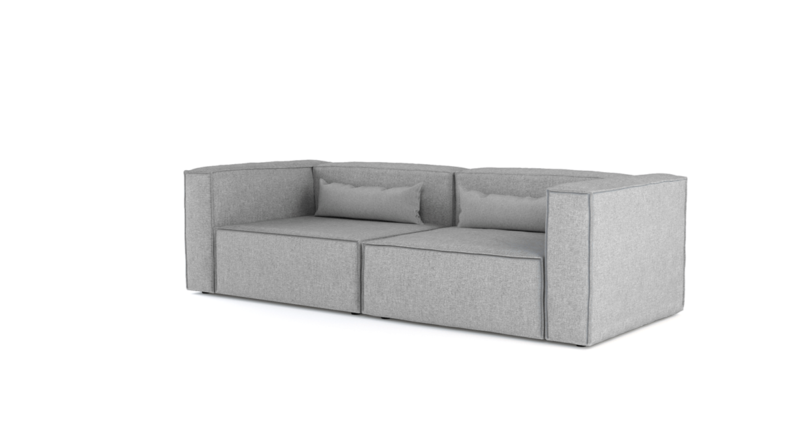 Despite its minimalistic form the modules are very comfortable. 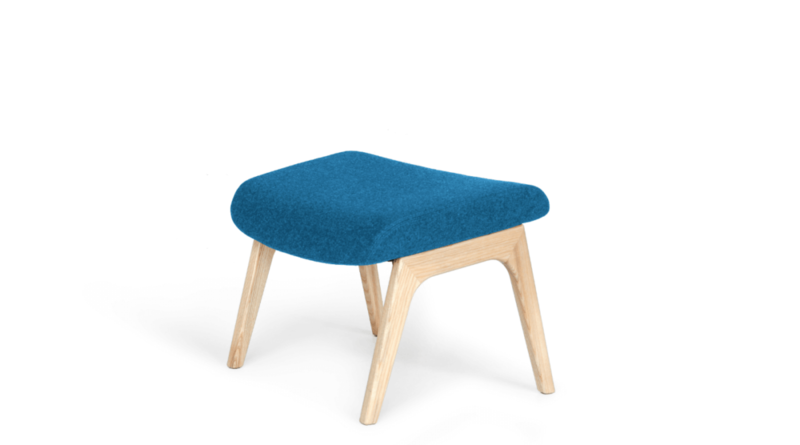 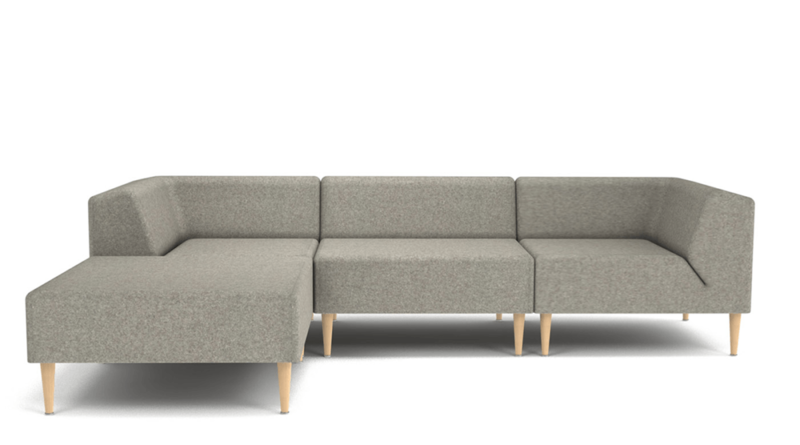 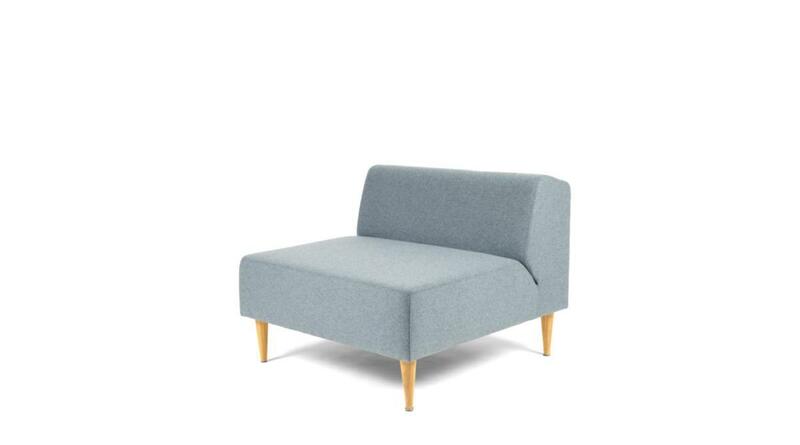 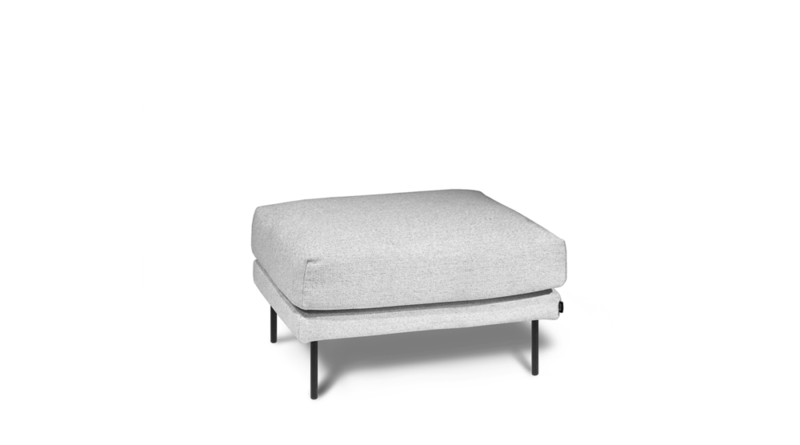 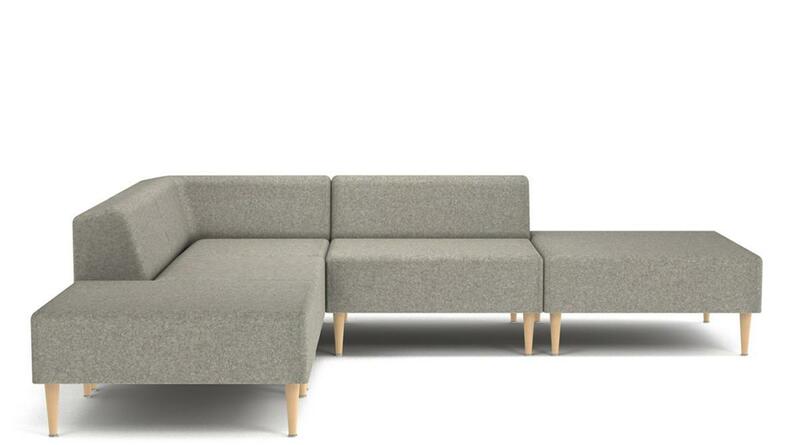 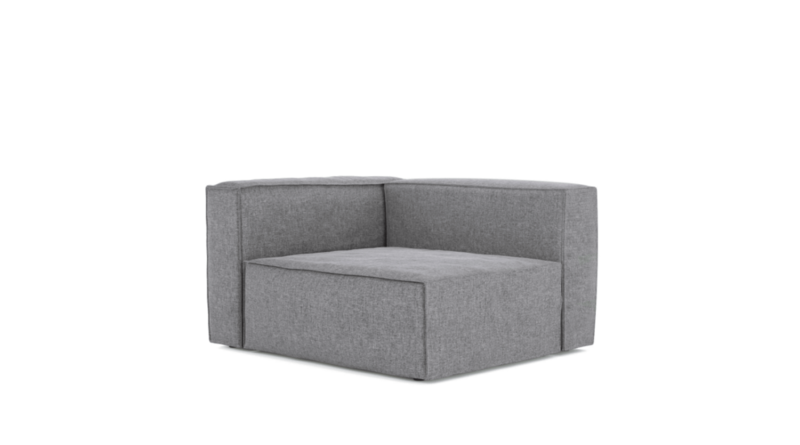 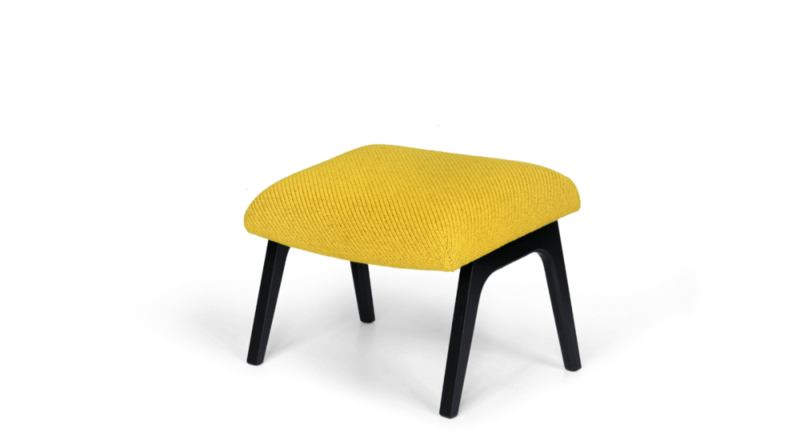 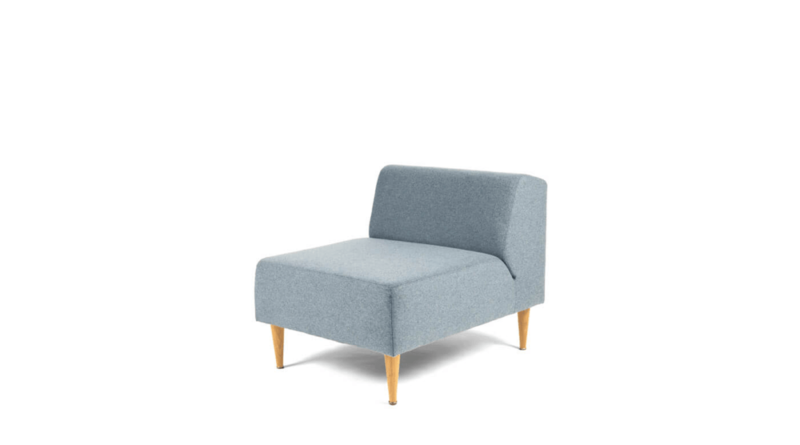 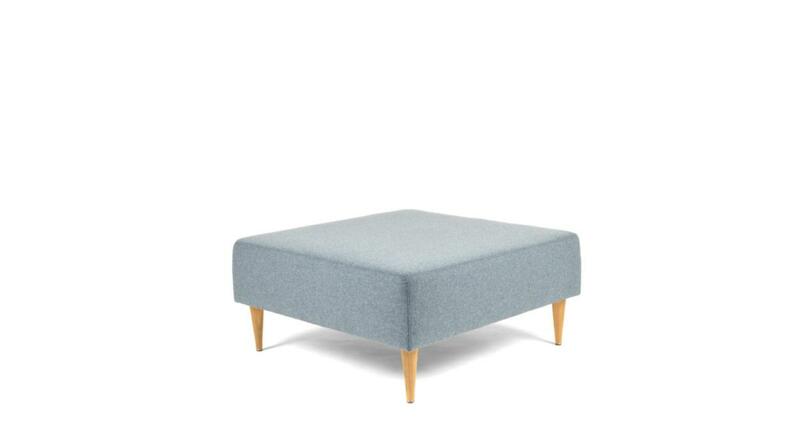 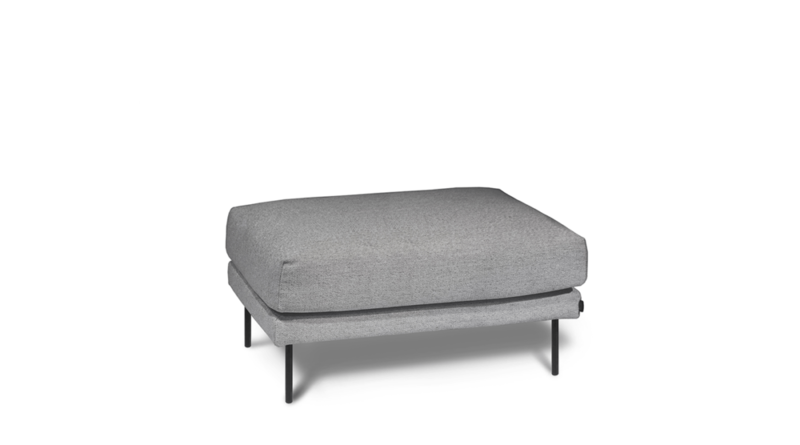 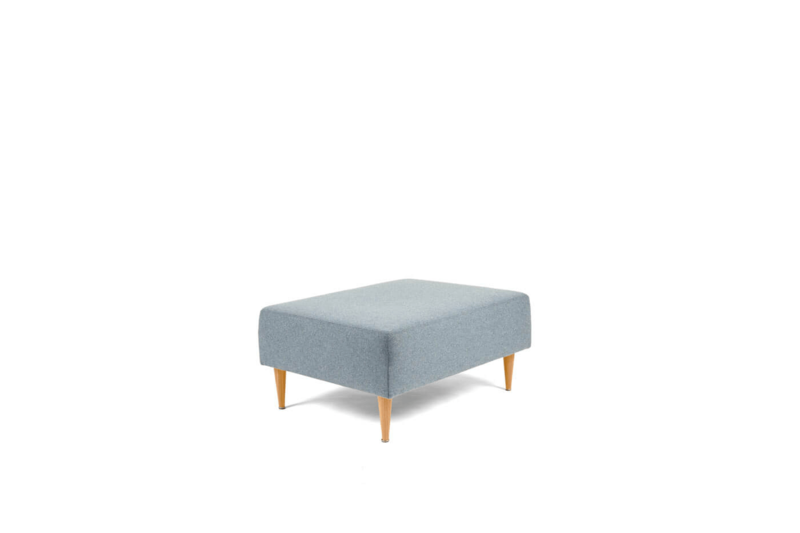 There are three different types of modules: the corner, the seat in two sizes and the ottoman in two sizes. 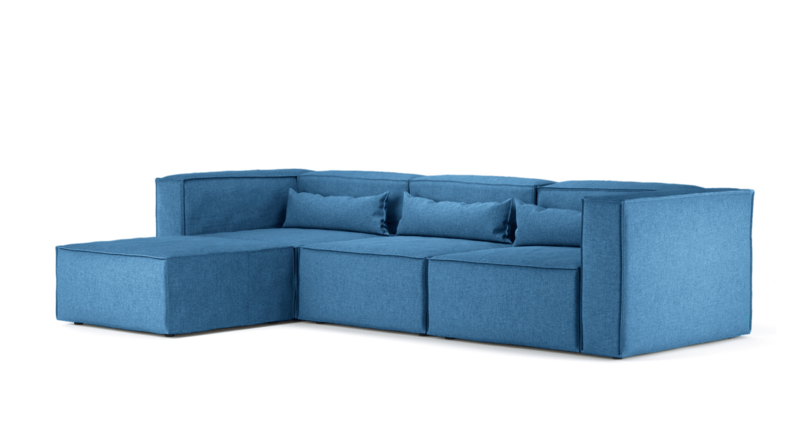 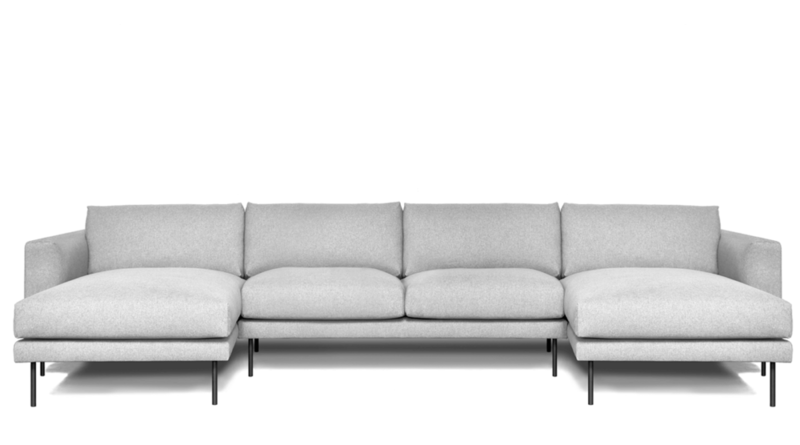 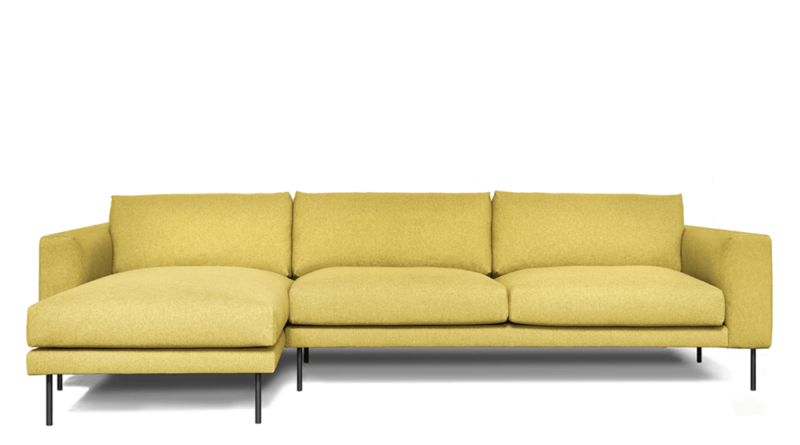 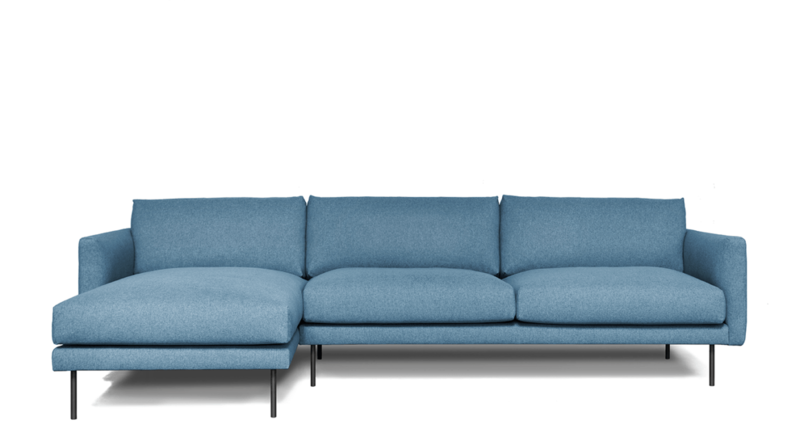 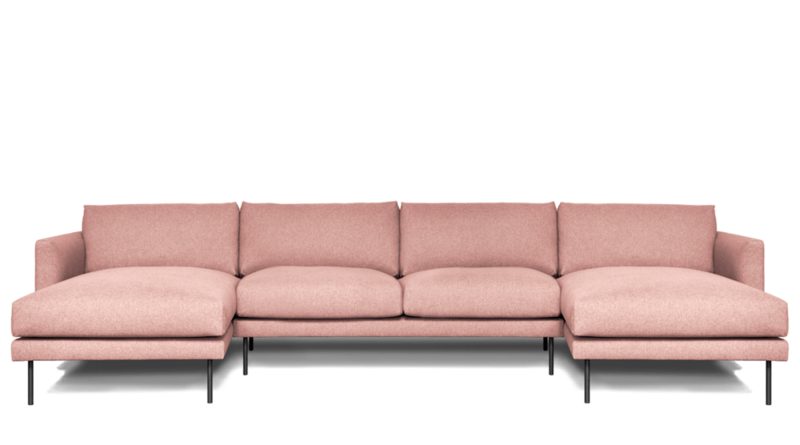 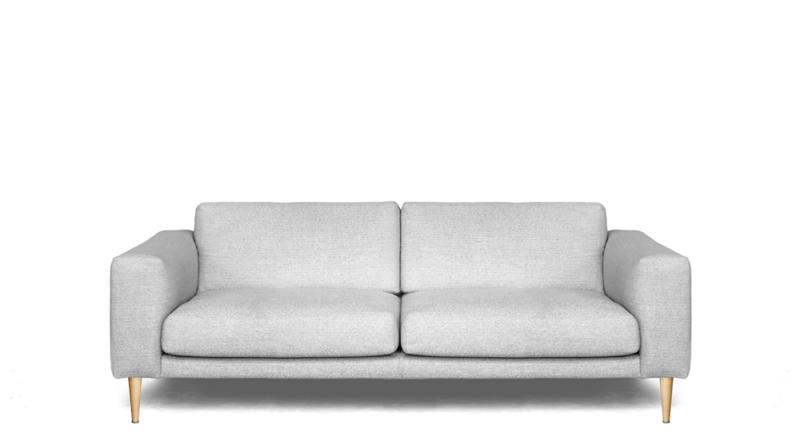 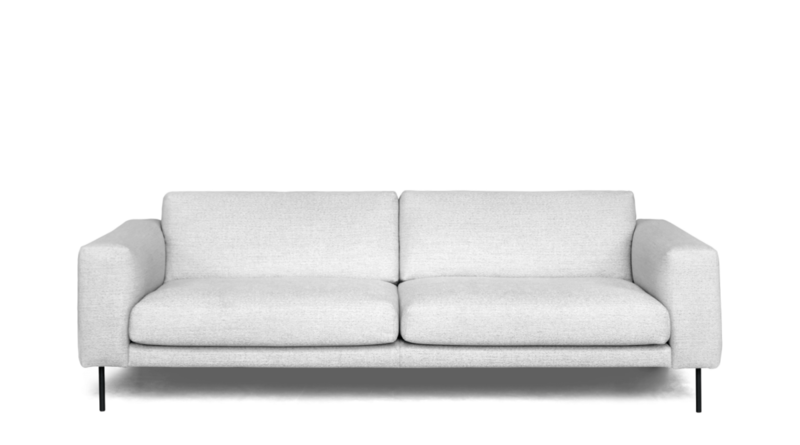 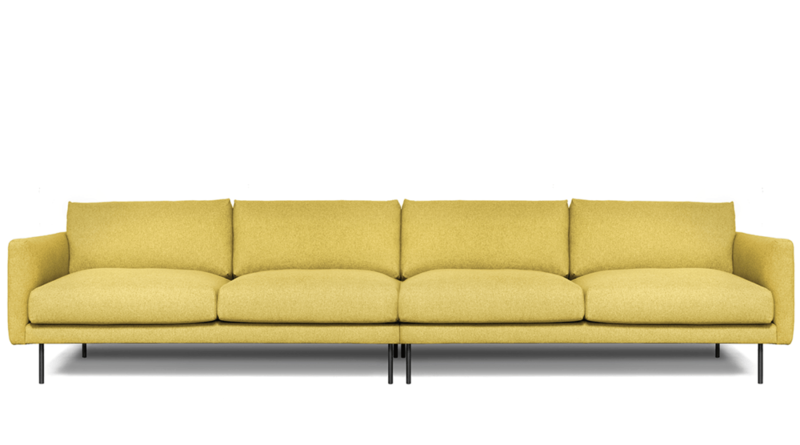 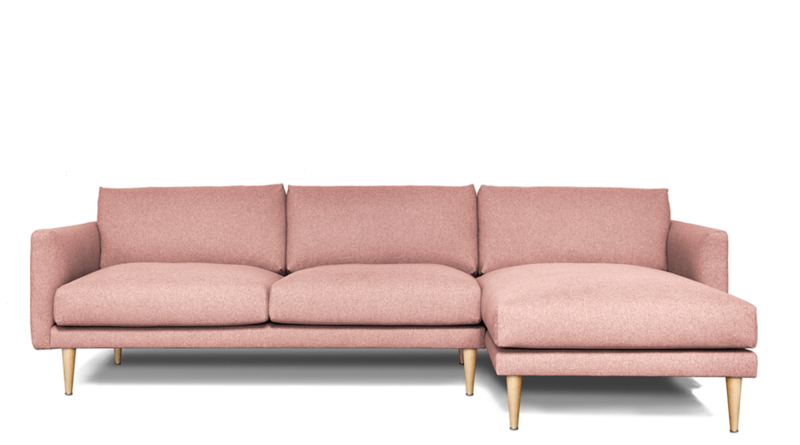 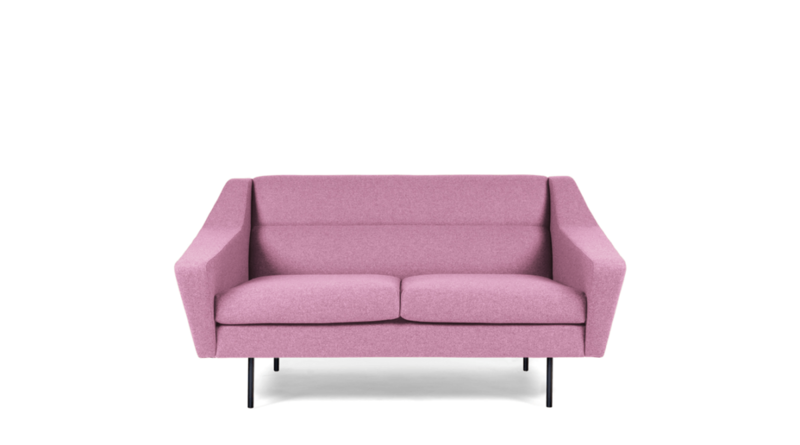 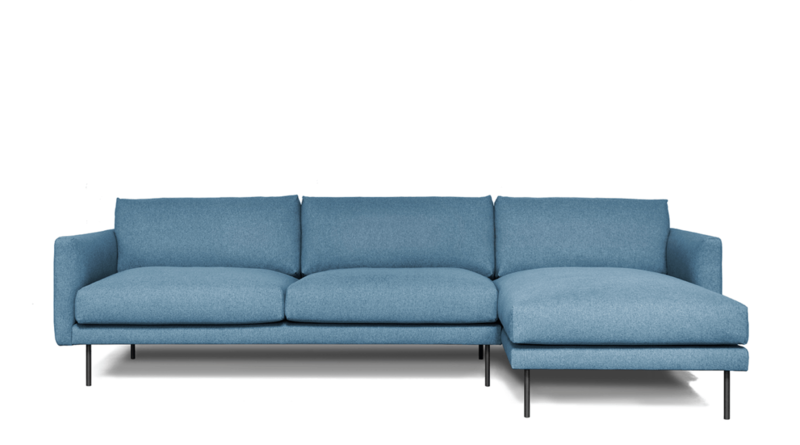 MOOD gives many opportunities to create flexible sofa systems – from small two-placed couches to larger and more angular lounge-type solutions. 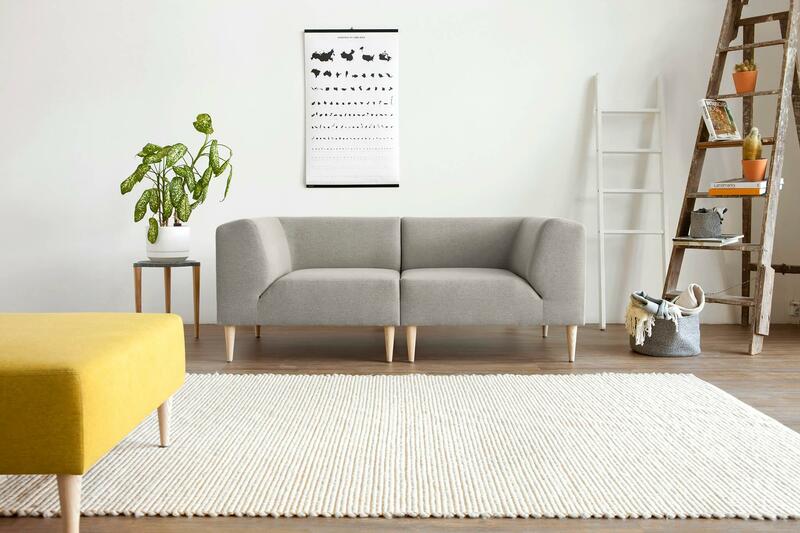 There are special clamps under the frame for connecting the different parts of the sofa.